The tough-guy hero with a tender heart is a romance staple, but Sarina Bowen's nuanced hockey enforcer Patrick O'Doul feels fresh and new. Reeling from the impact of all his NHL fights, he's ordered to see massage therapist Ariana Bettini; too bad he can't stand to be touched. But Ari’s determined to get past the athlete’s scarred, taciturn facade and help heal him. From its gentle-giant hero to its jet-setting pro-sports setting, Hard Hitter is an escapist delight. 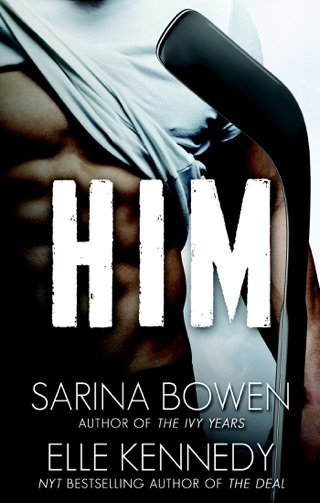 This is the second book in the Brooklyn Bruisers series and it is another charming hockey story by Sarina Bowen. My attention was immediately captured as I read this sweet story. It has suspense, an interesting storyline, engaging characters with lots of chemistry between them. Patrick O’Dual is the captain of the Brooklyn Bruisers hockey team and also the team's enforcer, but at thirty-one, he is starting to wonder how much longer his body can take the abuse. Hockey is all Patrick has; it has been his whole life. Patrick is stoic, doesn't like to be touched, sticks to himself and is uncomfortable getting too close to people. 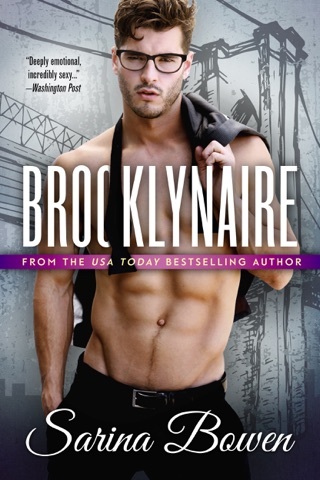 Ariana also works for the Brooklyn Bruisers and she is the complete opposite of Patrick. She is the team's yoga Instructor and massage therapist and touch is an important part of her job. She is a sweet and genuine person but unfortunately, she is having problems with her former boyfriend. Patrick tries to keep her safe from her ex and as he gets to know her, he starts to fall in love. Ariana was in a bad relationship and she is nervous about jumping into a relationship with Patrick and she also worries that if she is involved with Patrick, it might jeopardize her job. Patrick has never been in a relationship and it is sweet the way he tries to figure out how to win Ariana. She makes him feel things he has never felt before. He keeps trying to convince Ariana that she should date him but she only wants to go to bed with him. Patrick if protective of Anaina and he wants to help her in any way he can and and keep her safe. My heart went out to Patrick, he is tough yet also has a sweet side that Ariana brings out in him. I liked both Patrick and Ariana, although I wish Ariana hadn't continually tried to push Patrick away. I love the way Ariana’s influence on Patrick slowly changes him over the course of the story as he learns to open up. This story also had a some entertaining secondary characters. I enjoyed the camaraderie between the players and how everyone in the Brooklyn Bruisers organization cares about each other. They all have their own stories and I can't wait to read about them in future books. I was given an advanced copy of this book to write an honest review for Netgalley and Cocktails and Books. 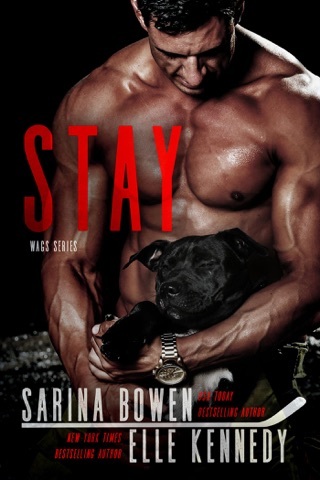 I would recommend any of Sarina's books, and this is no exception. Fun stories, great characters and a happy ending!!! It's getting hard to come up with original things to say since I've said everything before in reviews of all of Sarina Bowen's previous books! Once again Bowen does a fantastic job of giving us characters to love, hockey action to enjoy and even some suspense to put us on edge. Ari and O'Doul are great characters and Bowen does a great job of building their characters so the reader can understand their motivation. So many times an author doesn't invest in that and as a result the characters' actions seem forced or not understandable. That never happens with Bowen's writing. She is one of my favorite writers as a result. I know I will never be disappointed in the craftsmanship of the story. I particularly liked the salute to the Ivy Years series in the mentions of guests at Leo and Georgia's wedding! All of the characters in Bowen's books become part of my circle of "book friends" who I wish I knew in real life!! Only downside to this book is that I'm now jonesing for Book 3 and I've got too long to wait!! Highly recommend!